Wow. I’ve written another book. This is my third, and although I don’t expect to release it for at least another month, it’s pretty exciting! This one is not part of the ‘chocolate’ series, but there’s one more to come, probably around November (I’ve already completed the draft), titled Bittersweet Chocolate. It will finish the series and I’m happy with it. But this book, Bits of Broken Glass, is different. Many books have been written about high school or college reunions. While I was writing this story, one of my favorite authors, Claire Cook, published Time Flies, about a high school reunion. Now, I’m no Claire Cook, but she’s definitely been an influence, as have Anna Quindlen, Elizabeth Strout, and Catherine Ryan Hyde as storytellers. Bits of Broken Glass is contemporary women’s fiction. It’s not a lighthearted romp to the past by any means. And when I call it women’s fiction, I don’t mean that it’s just for women. But I do include a strong female character in my books, and, as a woman, I write from a woman’s point of view. And if you’re wondering about the record at the top, this is the song that inspired the title. My main character grew up listening to the album, hearing her mother sing the song, and it’s been significant to her in her life. 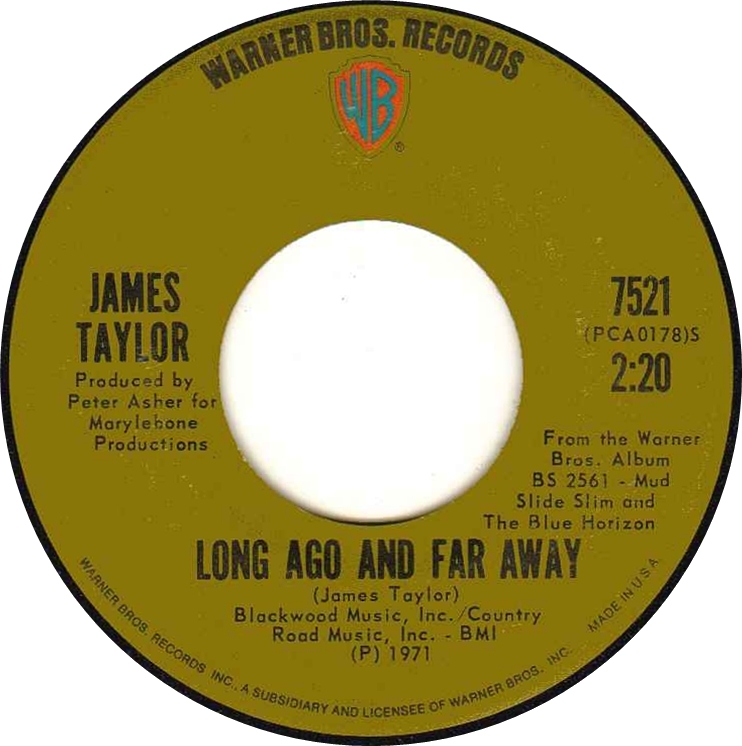 At the end of this blog post, I’ve included a You Tube video of James Taylor singing “Long Ago and Far Away.” Have a listen. I didn’t attend my five-year high school reunion (I was living overseas at the time). I found out about my ten-year reunion after the fact, when I ran into a classmate in the city. Apparently no one knew where I was living. I almost attended my fifteenth. A friend from high school persuaded me to attend a planning session for the reunion, even though I really didn’t want to. Despite the fact that I lived in the same state, I hadn’t kept up with my high school friends. That evening, at the reunion planning meeting, I was greeted effusively by my classmates and promptly asked three questions: ‘Are you married?’ (No.) ‘Oh, sorry, are you divorced?’ (Nope! Never been married!) ‘Well, do you have any kids?’ (Um, no.) And that was it. I had failed their test, apparently, and there was nothing more to discuss. I wanted to say, “Wait! I’ve traveled, I’ve lived in another country, I’ve had some really bad dates that are actually pretty funny.” But they weren’t interested. At least that’s how I perceived it, and I skipped my fifteen-year high school reunion, feeling completely inadequate. When the twentieth rolled around, I couldn’t go. All the talk about children would have been too painful for the girl who’d just learned she’d likely never be able to have children. I didn’t have the inner strength to attend. So, when the twenty-fifth loomed, I told my husband that I wanted to go, only because I didn’t want to regret not going. And it was really a lot of fun. Many of the ghosts from twenty-five years previous had evaporated, or were simply forgotten. Where are you on the high-school reunion circuit? Do you love them? Loathe them? Avoid them like the plague? Bits of Broken Glass will be released in the fall. Don’t worry, I’ll be publicizing the heck out of it as the release date gets closer! Enjoyed reading this blog. Already was looking forward to the third book in the chocolate series and now I have another one from you to look forward to reading. Thank you, as always, Ann. 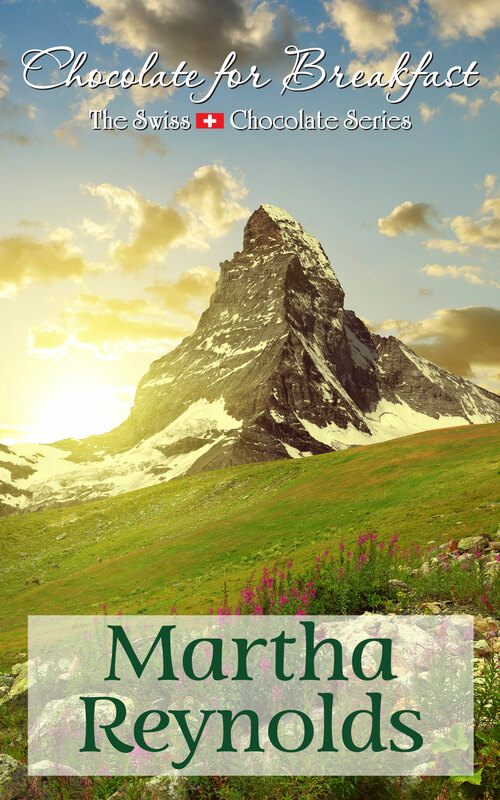 You continue to inspire me, Martha! I feel like I have no need for high school reunions, as I’m in touch with so many of my high school classmates on Facebook. I went to my 10-year reunion, before I was on Facebook, and it was good to see some people, but many of my closest friends from high school didn’t attend, so I felt pretty melancholy by the end of the night. I don’t see myself attending any more. I’m looking forward to reading BITS OF BROKEN GLASS, though! Thanks, Brea. I kind of enjoy the online reunions, too. That’s so exciting! I can’t wait to read them both! Thank you, Jeannie. I’m excited about both of them – so many stories still to write!